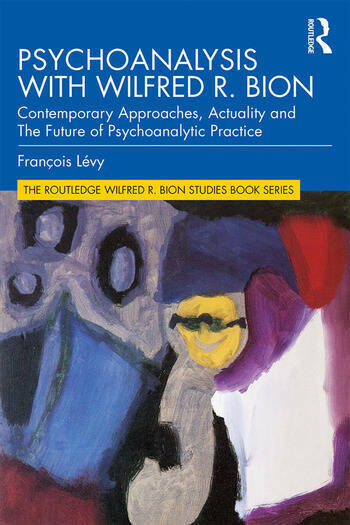 Psychoanalysis with Wilfred R. Bion is the product of Francois Lévy’s efforts over a period of twenty years to represent clearly the classical elements and the innovatory propositions of the thought and work of Bion, who offers both new and modified ways of practising and thinking out the psychoanalytic experience. Bion’s thought, methodical and intuitive, gave rise to profound modifications in the approach to the psychology of groups, clinical work with psychoses, and the conception of the genesis of thought. Some of his original notions – psychic growth, processes of thinking, transformations, alpha function, maternal reverie – constitute valuable tools for rethinking psychoanalytic practice. This book places Bion’s thought within a filiation that is faithful to those of Sigmund Freud and Melanie Klein. It shows the parallels that exist between Bion’s formalisations and those of Lacan. It also lays emphasis on the mechanisms of thought arising from the negative (André Green), from logic (Lewis Carroll), from causalist philosophy (David Hume), from literature (Milton, Blanchot) and from the physical sciences (Stephen Hawking). Finally, Lévy underlines the importance of lacing the individual within the collective from which they have originated. Psychoanalysis with Wilfred R. Bion will appeal to psychoanalysts and psychoanalytic psychotherapists looking to draw on the ideas of one of the most important and influential figures in the history of psychoanalysis. THE GRID; OVERTURE: Taking the trouble to get into the book 1 Changes of perspective 2 Hostile and friendly life 3 Emotional experience and alpha-function 4 The negative at work 5 Genesis and development of thought 6 The rejection of causality 7 Transformations, or reality in analysis 8 The group and psychoanalysis, survival or destruction? CONCLUSION "The answer is the misfortune of the question"
Francois Lévy is a psychoanalyst and member of the Société de Psychanalyse Freudienne (SPF), Paris, France. He has authored many articles as well as the preface for the French edition of Bion’s Clinical Seminars. He has run a teaching seminar on Bion’s work for more than two decades in Paris.